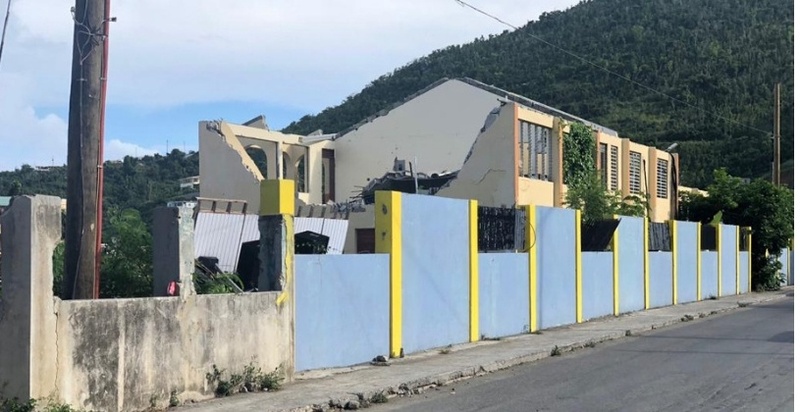 The Police have begun a formal investigation into the Auditor General’s Special Report into the Elmore Stoutt High School(ESHS) Perimeter Wall project. Due to the nature and sensitivity of the matter, she indicated that information will be very limited. “We cannot comment on scale, time-frame or details as we have to ensure the integrity of the investigative process. We can give no further comment,” she stated. This development comes after the Police conducted a scoping exercise into the audit to ascertain whether a full criminal investigation was necessary. Commissioner of Police, Mr. Michael Matthews has gone on record as saying that the force will be impartial during the entire process. On December 14, last year, Governor Augustus Jaspert announced that the Auditor General’s Special Report into the incomplete Elmore Stoutt High School (ESHS) Wall project, was handed over to the police. That report into the incomplete and controversial ESHS wall had found several discrepancies with the project, including failure to follow proper procurement requirements which had 70 contractors and moved from the original cost of $828,000 to $985,000 to date. The then Minister of Education and Culture Myron Walwyn, had, in response, challenged the report, which he had publicised, saying that the findings were not accurate. He had also questioned the Governor’s motives in announcing that the report was with the police during the elections season.